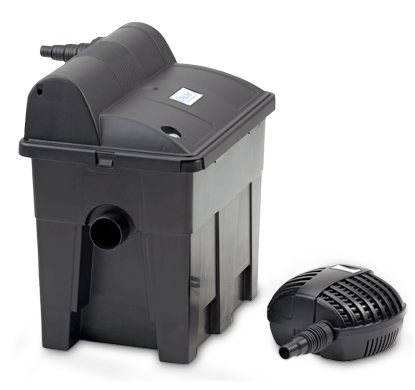 Flow-through filters are used for medium-size and large ponds, or even for koi ponds. They stand above the water surface at the edge of the pond or above a watercourse/stream. Thus the water flows back into the pond via gravity. 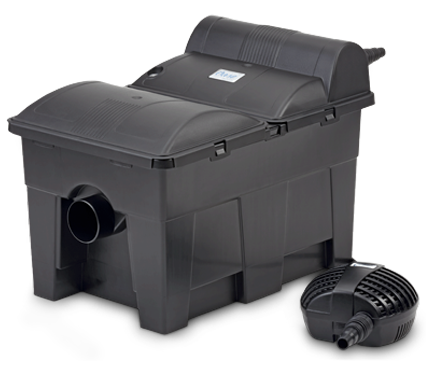 Flow-through filters are ideally suited for ponds up to 140,000 litres, particularly if rigorous requirements are imposed on the circulation capacity. 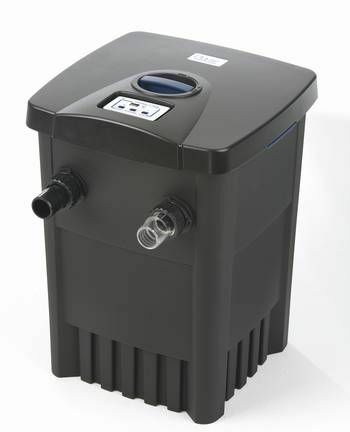 The key is in the name: A flow-through filter is fed by the pump in the water. The filter is the highest point in this cleaning cycle; from this point the water then flows back into the pond. Foams in the interior perform the actual cleaning of the water; after a few days these foams also become the home for the hard working microorganisms. The advantage of flow-through filters: They are easy to reach, they are above ground, thus cleaning and maintenance are quickly accomplished. There are many innovative products our range. 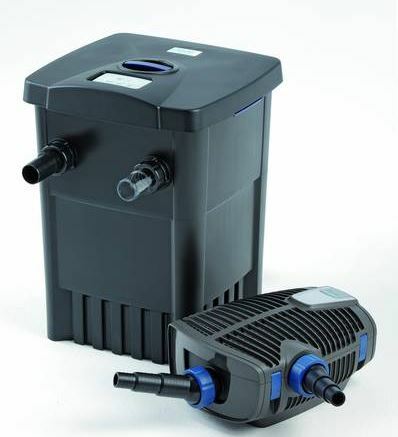 Systems with selfcleaning function, such as the FiltoMatic or the Screenmatic prefilter spare you endless hours of pond cleaning. Thus there is more opportunity to enjoy your leisure time and relax at the edge of the pond.